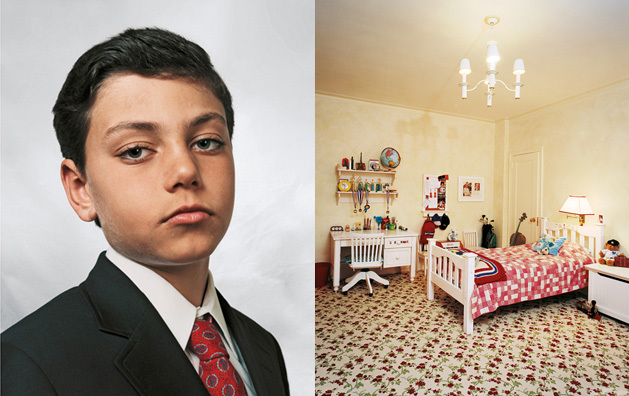 A striking look at where children from nine countries sleep at night. 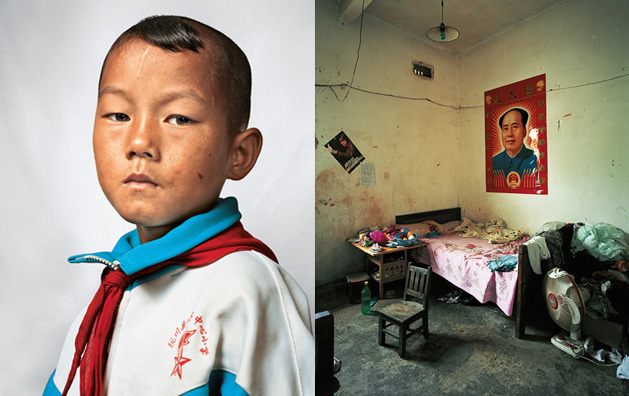 A few years ago, James Mollison began taking photos of children around the world and their rooms. 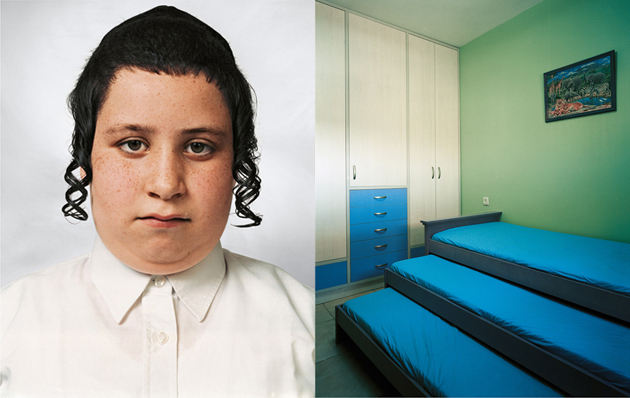 “I soon realized that my own experience of having a ‘bedroom’ simply doesn’t apply to so many kids,” he recalls in his book Where Children Sleep, which collects his images from 18 countries. Striking and unsentimental, Mollison’s work shows that wherever a child lies down at night is not so much a retreat from as a reflection of the world outside. Erlen is 14 years old and is pregnant for the third time. She lives in a favela in Rio de Janeiro, Brazil. Her home is a small shack. She usually sleeps on the floor, but now that she is in the later stages of her pregnancy, her mother has swapped places and allowed her to sleep in the bed. Erlen was 12 when she first became pregnant, but her baby was stillborn. A year later, she lost a second baby soon after its birth. If her new baby survives, Erlen is unlikely to return to school as she will need to stay at home to look after it. She will be a single parent. Erlen would like to be a vet when she is older, and to live somewhere else. Samantha is nine years old. 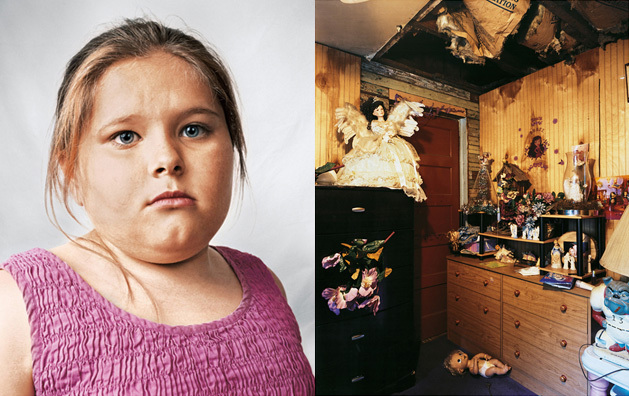 She lives with her parents, and her guinea pig and fish, in a detached house on Long Island, New York. Samantha has achieved a black belt in karate. She has been world champion three times. She first became interested at the age of three, when she saw a television ad featuring karate. 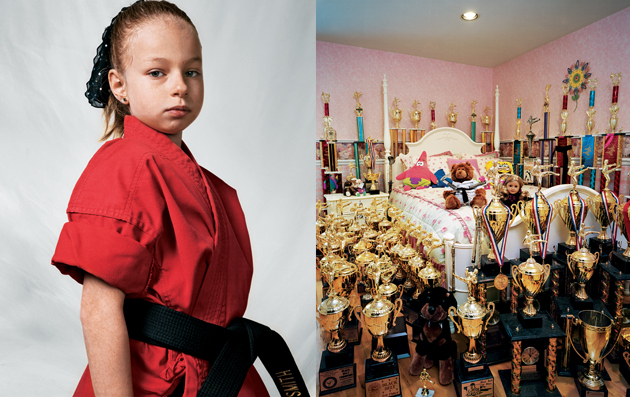 Her bedroom is full of trophies she has won in competitions. She spends four hours a day practicing karate at the studio and also has an hour and a half of school homework each night. Samantha would like to become a karate movie star. Douha lives with her parents and 11 siblings in a Palestinian refugee camp in Hebron, in the West Bank. She is 10 years old and shares a room with all five of her sisters. Douha works hard at school because she wants to be a pediatrician when she grows up. Douha was born in a refugee camp, and there has always been violence around her. Her brother Mohammed killed himself and 23 civilians in a suicide-bomb attack against the Israelis in 1996. Immediately after the bombing, the family home—including all their possessions—was destroyed by the Israeli military. 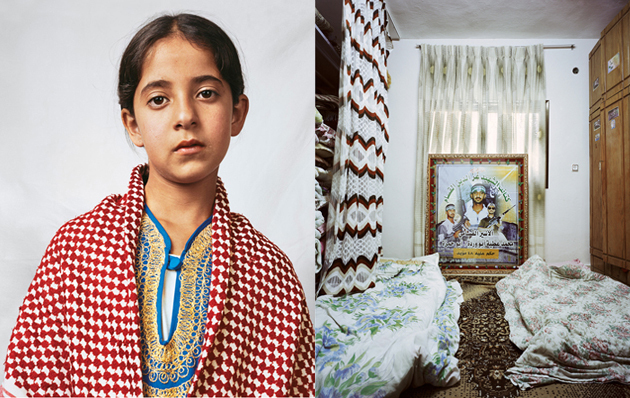 Douha has a poster of Muhammad on her bedroom wall. Joey lives in Kentucky with his parents and older sister. He is 11 years old. He regularly accompanies his father on hunts. 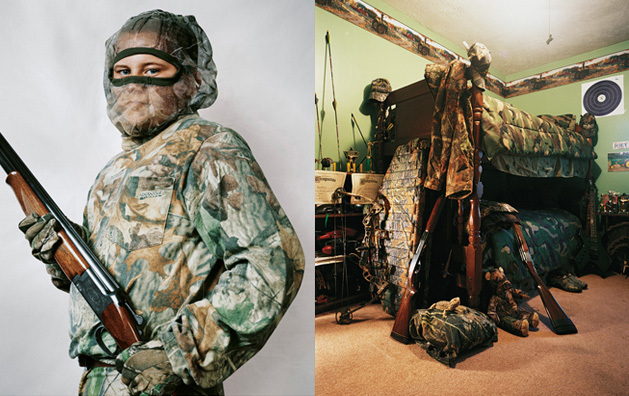 He owns two shotguns and a crossbow and made his first kill—a deer—at the age of seven. He is hoping to use his crossbow during the next hunting season as he has become tired of using a gun. When he is not out hunting, Joey attends school and enjoys watching television with his pet bearded dragon lizard, Lily. 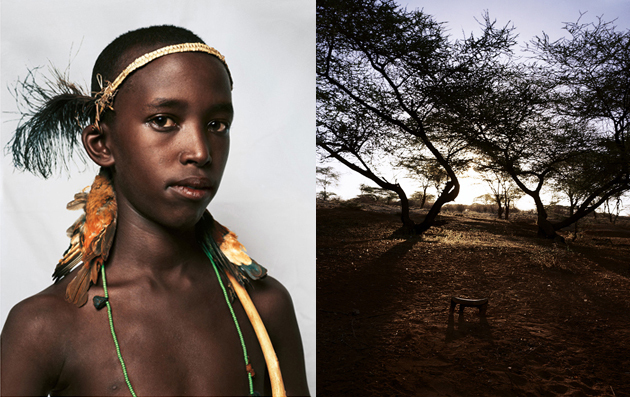 Irkena lives in Kenya with his mother, in a temporary homestead encircled by a strong thorn enclosure to protect the family’s livestock. He belongs to the Rendille tribe, who live a semi-nomadic life in the harsh regions of the Kaisut Desert. Irkena is now 14 years old and must be circumcised before leaving the community manyatta (settlement). Irkena will then become a morani (young warrior), and live in the bush with other warriors. During the month before he is circumcised, Irkena kills as many birds as possible with his handmade catapult, and hangs the corpses round his head as a status symbol, signifying his maturity and skill at hunting. Maria lives in Mexico City with her parents and older sister. Their home has three stories and is set around a courtyard, behind security gates. The family has taken security very seriously ever since one of her cousins was kidnapped by a gang. Maria is 12 years old and attends a private school. Maria enjoys socializing with her friends at school but does not like working hard. Her hobbies include all types of dance—tap, ballet, Irish—but she would like to be a professional jazz dancer one day. Maria has two stereos, an iPod, a cellphone and her own private doorbell outside her room. Jaime is nine years old. He lives in a top-floor apartment on Fifth Avenue in New York. His parents also own luxury homes in Spain and in the Hamptons. He has a younger brother and sister who are twins. In his spare time, apart from playing the cello and kickball, Jaime likes to study his finances on the Citibank website. When he grows up, he would like to be a lawyer like his father. 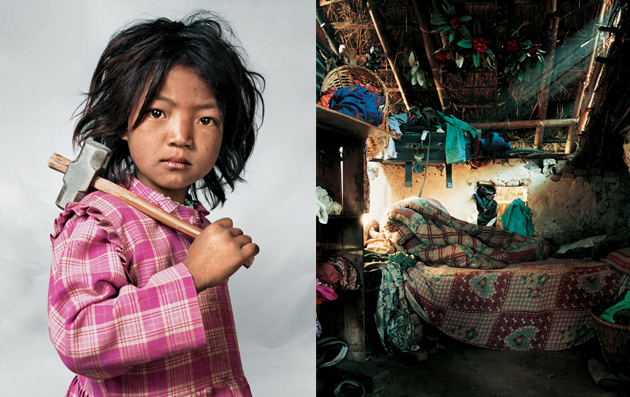 Indira lives with her parents, brother, and sister near Kathmandu in Nepal. Her house has only one room, with one bed and one mattress. At bedtime, the children share the mattress on the floor. Indira is seven years old and has worked at the local granite quarry since she was three. Indira works five or six hours a day and then helps her mother with household chores. Her favorite food is noodles. She also attends school, which is 30 minutes’ walk away. She does not mind working at the quarry but would prefer to be playing. 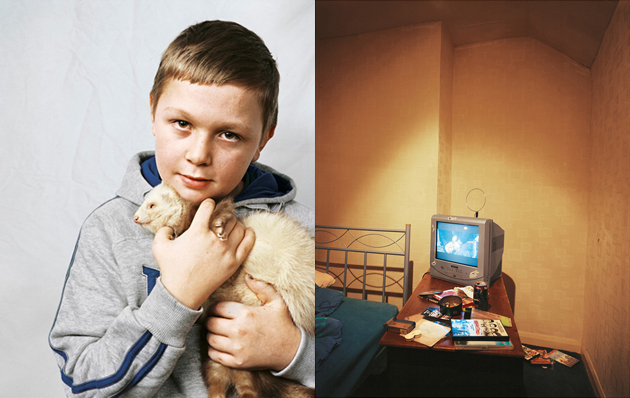 Ten-year-old Lewis lives with his parents and sister in a semi-detached house on the outskirts of Barnsley, in Yorkshire, England. He has been given an ASBO (Anti-Social Behaviour Order). This means he is banned from going out at night, and must not possess drugs, alcohol, knives, or even a screwdriver. Lewis has Attention Deficit and Hyperactivity Disorder and has also been diagnosed with schizophrenia. His aggressive behaviour has led to his being excluded from his special school seven times. Lewis has felt happier since taking his medication but resents his curfew because he misses playing outside in the street with his friends. Alyssa lives with her parents in Kentucky. She is an only child but her grandmother, uncle, and orphaned cousin live close by. Their small, shabby house, heated only by a wooden stove, is falling apart. The ceiling in Alyssa’s bedroom is beginning to cave in. The family would like to buy a trailer if they could afford it. Alyssa’s mother works at McDonald’s and her father works at Walmart; everything they earn goes toward bringing up their daughter.